If you are practicing the reading of the Tarot, it is essential for you to learn a bit more about how to keep well the cards. At this point, usually we do not pay a lot of attention to it but it is necessary to do so not to affect the connection with the Tarot. Get to know some tips to save your cards. 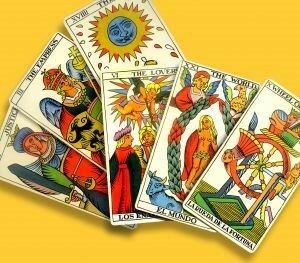 To start with it and after all the readings, you need to take the cards and order them according to the number they have. After this, you can save them. Now, and as an advice, you should be the only one to take your cards and you should avoid giving it to other people as this makes the cards to have only your energy. To store your cards, it is advisable to use a bag or a cloth in purple color because this color is related to the protection of energies that can be present in the environment. At the same time, it is recommended to have a special box for the cards made in wood. Finally, it is essential to take into account that with days and readings the cards get full of energies and it is necessary to clean them. To do so, you can use quartz crystals that you have to move on the top of the cards or to put it in the same box of the cards. You can also leave the cards to the light of a full moon a whole night.